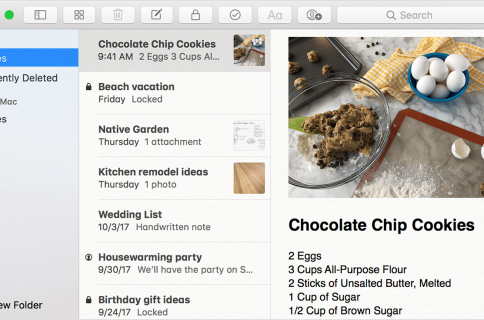 Your Mac has a nifty feature called Stickies which are basically digital sticky notes. And, for those who have used or still use physical sticky notes, you know how handy they can be. You can jot down a reminder, an idea, or a to-do so that you don’t forget it. 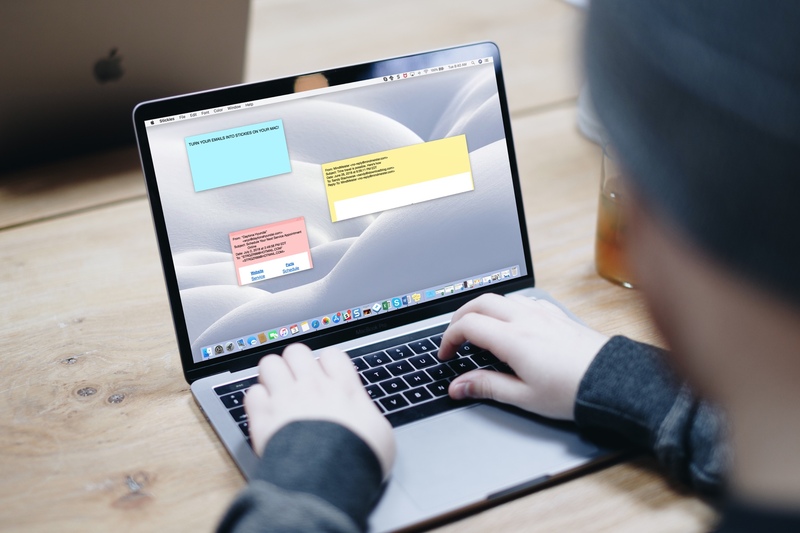 Having these Stickies on your Mac lets you accomplish the same thing. So, for emails in the Mail app that you need to follow up on, want to read later, or just want to keep close at hand, turn them into sticky notes. 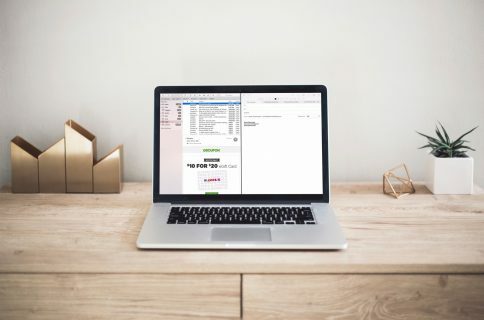 Open your Mail app on Mac and then select the email you want to turn into a note. Then, follow these simple steps. 1) With the email selected, click Mail from your menu. 2) Scroll down to Services. 3) In the small menu that displays, choose Make New Sticky Note. You will then see the sticky note automatically appear on your screen with that email message inside it. Once you have your sticky note, you can do a variety of things with it. You can move it anywhere on the screen and resize it. On the note itself, you can change it to full screen mode by clicking the triangle on the top right. You can minimize it to only see the first line by clicking the square on the top right. And, to delete it, click the square on the top left. With your note selected, you have additional options from the Stickies menu. Change the font format, size, style, and color. Change the sticky note color. Import an image or capture a screen shot. Insert an emoji or symbol. Arrange all notes on your screen. Using the sticky notes on your Mac saves you from losing them to a cluttered desk if you use the physical ones. 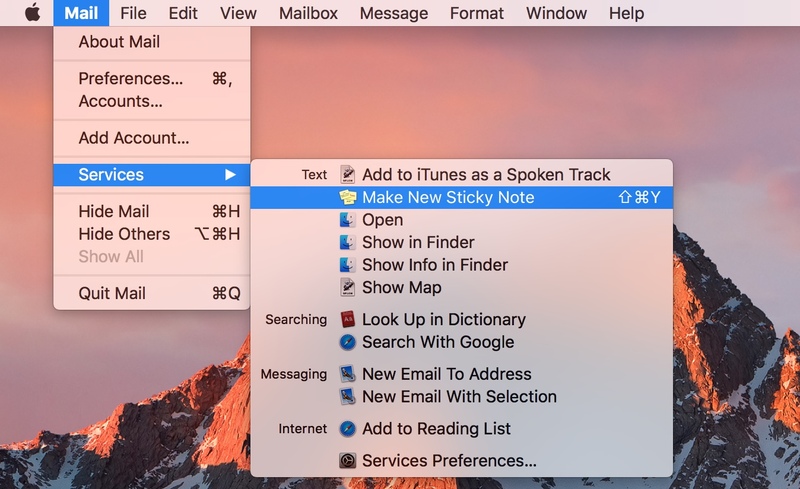 Do you use Stickies on your Mac? And, for more helpful tips and tricks, check out some of our other tutorials.